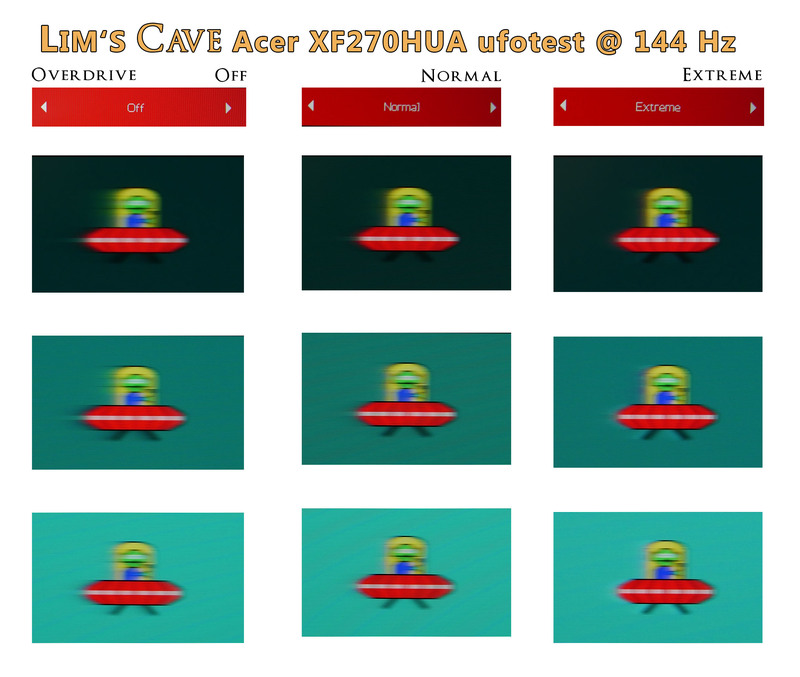 All measuring data from the Acer XF270HUA review. Suggestions, questions, criticism, and new ideas? Post them in here. 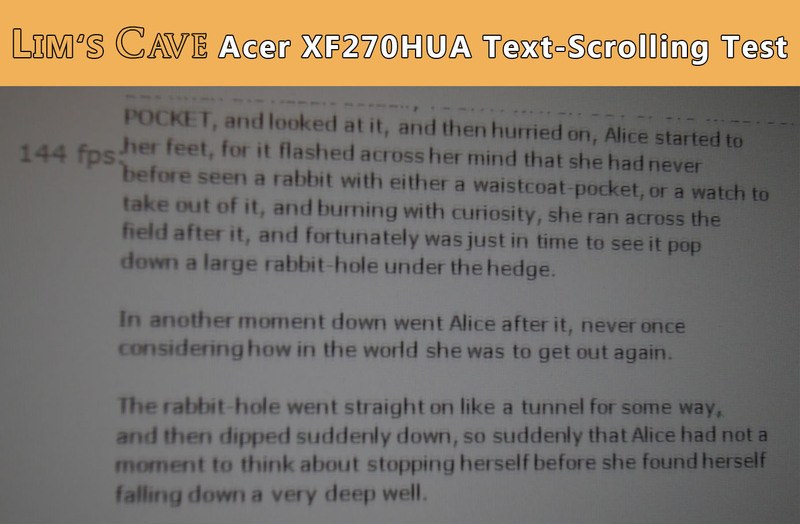 I bought the Acer XF270HUA so was wondering if you have a profile i can mess about with and also what OSD settings did you use? If you don't mind that it and would be much appreciated. On another note when i have a browser open and the solid white background it looks as though there is a blueish tint on either side? should i be worried? Hey man, I think I have the ICC profile still on my other PC - will take a look tomorrow, totally forget about. But I don't recommend it, in general, to use ICC profiles from other persons/ monitor units. 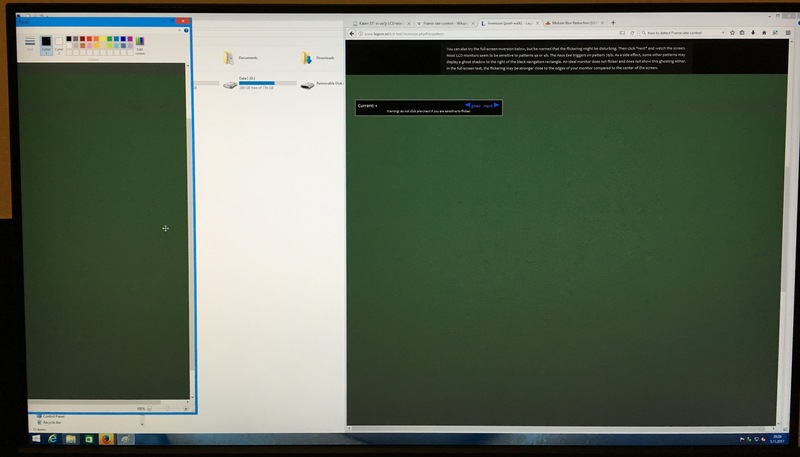 Well, I had this issue just that the right and left was a bit darker - Its probably because Asus monitors (or this monitor in particular) does not have the best homogeneity because of the LED placements. But maybe we just had back luck. I'm sure if you would order the Acer several times, some units will have more and other less tint on either side. You should worry if it disturbs you, otherwise, I wouldn't worry about. nice to see you are still arround doing a nice job. I'm still using the C24FG73, but I really get an urge to upgrade. 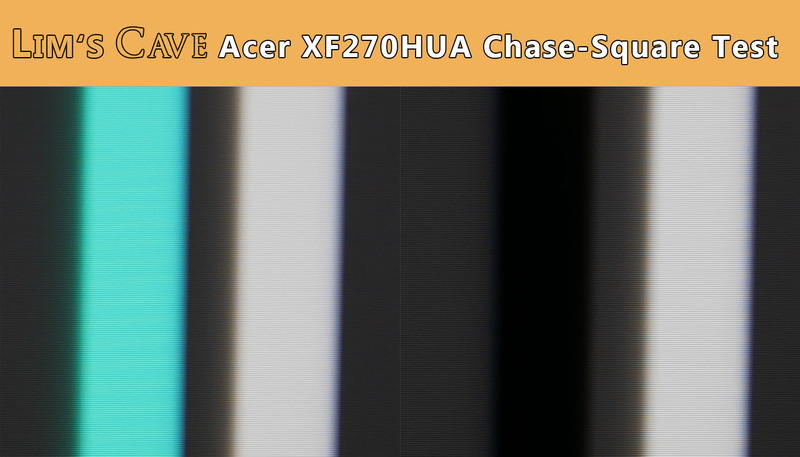 You can get the Acer XF270HUA for 399€ in Germany right now. I know about the discussions and arguments, whether overdrive and FreeSync works or nut, thus I looked for new informations. In your review you are saying, that overdrive does indeed work. Was there maybe a firmware fix or something when you did your review? Person also claim, that the blue hue setting does not work. Why can't those manufactures finally release new versions of their FreeSync monitors... and the Nixeus EDG 27 is an US-only product. 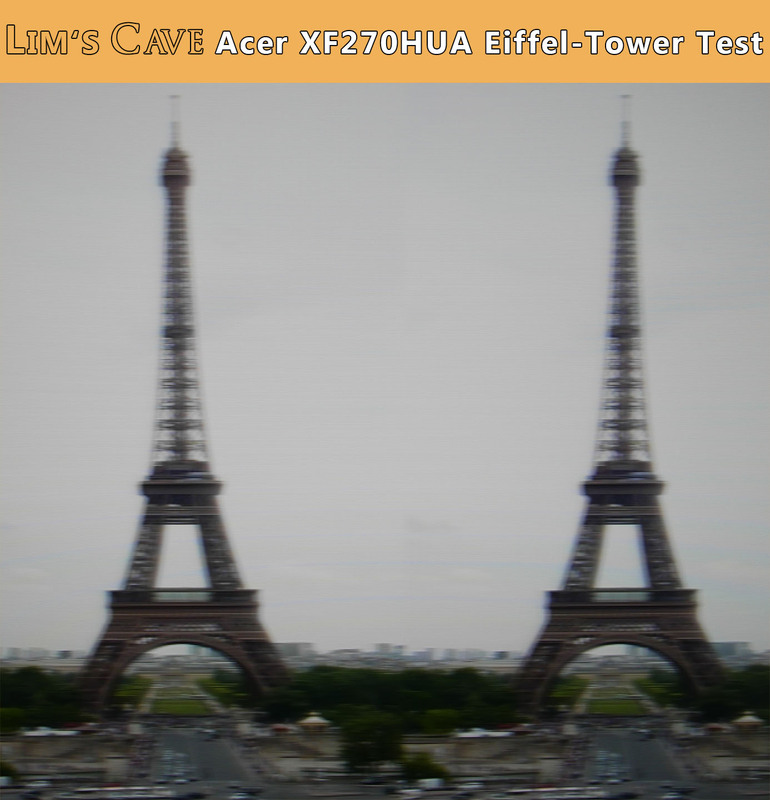 Can someone please test the patterns on http://www.lagom.nl/lcd-test/inversion.php#invpattern with this monitor? Best to do it in full-screen mode (F11 key...). Also with default/factory settings (or post your settings if they are customized). Hey guys, sorry for my late response. I was on vacation in the Netherlands and I am still renovating my new rooms probably for the next 4-6 Weeks. Regarding the overdrive settings. As I do remember, you cannot change them when using Freesync, in this case they should be variable depending on the FPS you reach. Otherwise it is using already the "best" option when Freesync is activated through the DP cable. 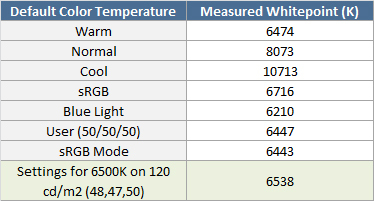 I do not own the monitor anymore, hopefully, someone else can test this for you. What happens on the test pattern? Hey Lim, I just want to know if you still had that ICC Profile you said you were going to upload. Bought this monitor not too long ago and want to test it. I didn't find anything wrong with this test at all. No, sorry But I also wouldn't really recommend using others ppl ICC profile while each panel differs in terms of the white point (kelvin), gamma, sharpness, color deviation, brightness etc. and an ICC profile will not give you a huge advantage, while "bad" gamma settings are mostly the settings which give you the biggest improvement (if your monitor for example ONLY offers gamma 1.8 and you switch to 2.2) - But you can also do with nvidia/windows settings.